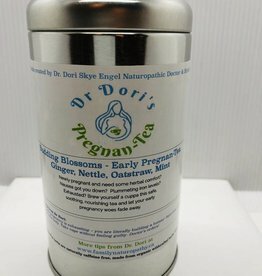 A late-pregnancy and postpartum-appropriate tea designed and produced by Toronto-local naturopathic doctor Dori Engel using wildcrafted and organic herbs. Red Raspberry Leaf: The most famous of pregnancy herbs is a calming yet powerful plant, useful for preventing hypertension, promoting easier labours (seriously!) & relieving nausea during any stage of pregnancy. As a pelvic & uterine tonic it aids in preparing the uterus for labour & preventing hemorrhage. It has been known to reduce pain during labour and post partum by toning the muscles used during labour & delivery. It's properties allow the contracting uterus to work more effectively making birth easier & faster. This beautiful herb's high mineral content also assists in the production of breast milk - highest in calcium, iron, vitamins A, B complex, C, E, phosphorous & potassium. Nettle: Hypotensive properties - decreases dreaded high blood pressure during pregnancy. High in Iron. reducing the incidence of ubiquitous late pregnancy anemia. Also nutrient dense in Vitamins A, C, D, K, calcium, potassium, phosphorous, sulphur & chlorophyll. Nourishes & strengthens kidneys & adrenal glands, preventing bladder infections, easing leg cramps & muscle spasms. 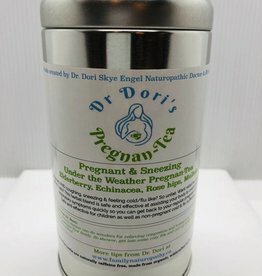 Diminishes pain during and after birth due to its high calcium content and uterine toning capabilities. Helps prevent post partum hemorrhage due to its high Vitamin K content. Reduces hemorrhoids. increases breast milk richness & volume. Prevents varicose veins. Nutritive infusion helps to replenish lost fluids and vitality. Alfalfa: Soothes indigestion, highly nutritive (like all the best herbs) - raises iron levels & increases the amount of available Vitamin K & hemoglobin in the blood - reducing the incidence of post partum hemorrhage. Mineral rich, also promotes lactation. Dandelion: Helps to eliminate edema & water retention - say no to cankles! Rich in calcium, folic acid, potassium & iron. 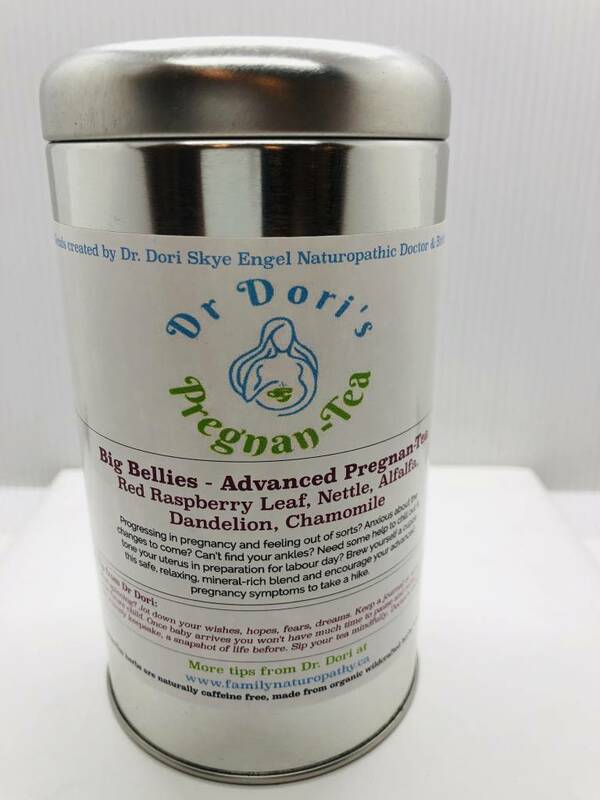 Supports liver & digestion, helpful to alleviate constipation, prevent & treat urinary tract infections and high blood pressure, including pre-eclampsia - not conditions you want to deal with during pregnancy. Great for acne, helps the kidneys function optimally, good source of minerals - helpful in cases of anemia. Helps your baby develop a strong liver which will reduce their risk of developing jaundice in their first few days of life. Promotes lactation.